Additionally laws have been developed and rules established by "so called" humane organizations, which seek to practice euthanasia on these animals without even the opportunity of adoption or being sent to rescue associations. To help promote the truth it is important for us to recognize the studies that have taken place which prove the true nature of the Pit Bull dog breed. Farmers Branch, Texas, a suburb of Dallas, has kept accurate records since 1980. During a 7 year period from 1980 through 1987, this is what was recorded. Total bites: 1,593. Pit Bulls accounted for 30 bites, or 1.89% of the total. Other studies tend to show the same results and because of so many mongrels that have similar features and the unfair lumping in with the American Pit Bull Terrier ( APBT ), it seems reasonable to assume that the figures are actually much lower. Some of the breeds, which placed above the Pit Bull's were Dalmations, Chows, Labs, Golden Retrievers, Rotties, Dobermans, and the Cocker Spaniel. What is not noted in the claimed Pit Bull bites is whether these were true pure bred Pit Bulls or whether others known as "Pit Bull Types" were also included in the Pit Bull stats. 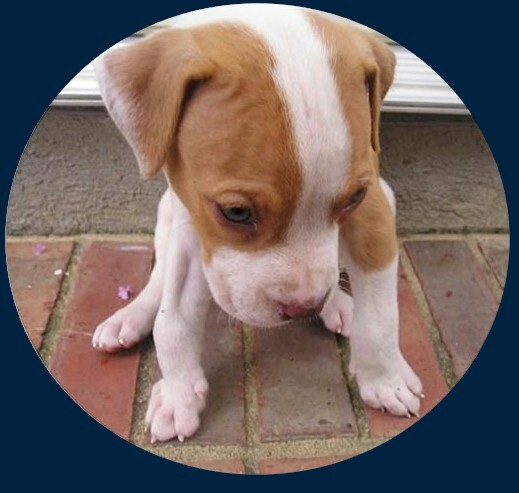 The use of the generic terminology and loose definition status used under the term "Pit Bull Type" often skews true Pit Bull statistics and often inflates such reports far out of reality for the true pure bred Pit Bull dog breed. 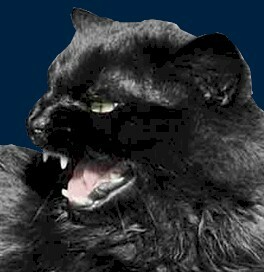 In a 1993 study, also in Palm Beach County, the bites were ranked by severity from 1 to 4 and the animal that was recorded as having inflicted the greatest number of severe bites was the domestic short-haired cat. 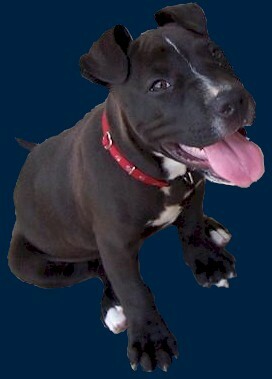 Loosley defined the breed labeled as "Pit Bull" was in 5th place, surpassed by the cat, German Shepherd, Chow, and Lab. 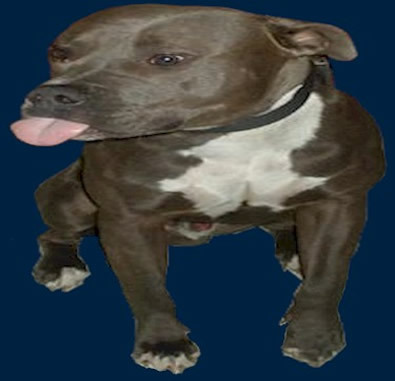 In reviewing statistics on breed bites it is important to understand that the term "Pit Bull" is used as a generic describer and not that of verifiable pure bred Pit Bulls. Any dog with any bully characteristic is often falsely lumped in with the Pit Bull thus giving a false perception that the pure bred Pit Bull is more dangerous than it really is and skewing stats unfairly against the pure bred Pit Bull dog. The division of general pediatrics, emergency medicine, at Children's Hospital in Philadelphia conducted a study in 1989 as a result of a ***perceived*** increase in Pit Bull injuries. 12 different breed/crossbreds were identified as perpetrators, the top four of which were German Shepherds, Pit Bulls, Rottweilers and Dobermans. 54 per cent of the animals were contained and 45 per cent were provoked prior to biting (by parental report). In reviewing this stat it is important to understand the nature of many of these animals was specifically to use them to guard property and that such bites were the result of negligent or harmful activities perpetrated by the individual that was subsequently bitten or by irresponsible parenting. The identified risk group are children less than 11 years old, the average age is 8, males outnumber females. This is probably out of disrespect typically exemplified by these young children. Only 7% required hospital admission. The method was to match 178 pairs of dogs selected from dogs reported to an urban animal control for a first-bite episode on a non-household member in which the victim received medical treatment. Controls were neighborhood-matched dogs with no history of biting a non-household member, selected by modified random-digit dialing. The odds of being struck by lightning are 1 in 600,000 in the USA. Comparatively speaking you are 6 times more likely to be struck by lightning than you are to be killed by a dog of any breed. When you further break down the odds of being attacked and killed by a Pit Bull the odds are in your favor -approximately 1 in 145,000,000. That’s million folks. In contrast, you are 4 times more likely to be killed by a cow in the USA than any breed of dog, much less a Pit Bull. Although there are some bad dogs out there these are in the minority and there is a tendency is to blame the dogs and / or their owners without just cause. In today's society where everyone wants to be labeled a victim we have removed all levels of personal or parental responsibility. Why is it that we today we hold humans less accountable with their ability to reason than animals? Such studies that do not take into account an expectation of human responsibility only make finding a solution to the issue of dog bites even more hard to deal with. In today’s society we have unfortunately moved away from personal accountability and responsibility. Many are looking for others to take care of them in every aspect of their lives including the proper raising of their children. When something negative happens in today's society it is no longer an individual's fault because they have been dependant on the care of others and have been taught there is no personal accountability. Today’s society is eager to slap the victim label on anyone who becomes hurt even if this is due to their own negligence or ill intent.